How did we help a local bank attract millennials? Millennials think of Ridgewood as “a friendly local bank,” but when interviewed are surprised to find that Ridgewood has all the bells (products & ATM network) and whistles (mobile and digital access) of the big banks like Citi and Chase. 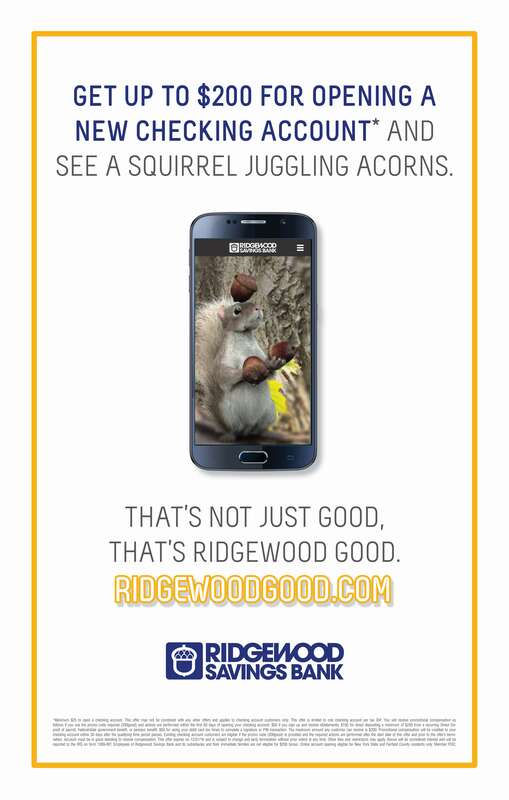 To play up Ridgewood’s big-bank features, we introduced “Switch the Squirrel,” a fiestly little brand ambassador who’s huge on banking with Ridgewood. Campaign Elements: TV commercials, pre-roll, responsive mobile-friendly website, online banners, print, PR, radio, in-branch posters. 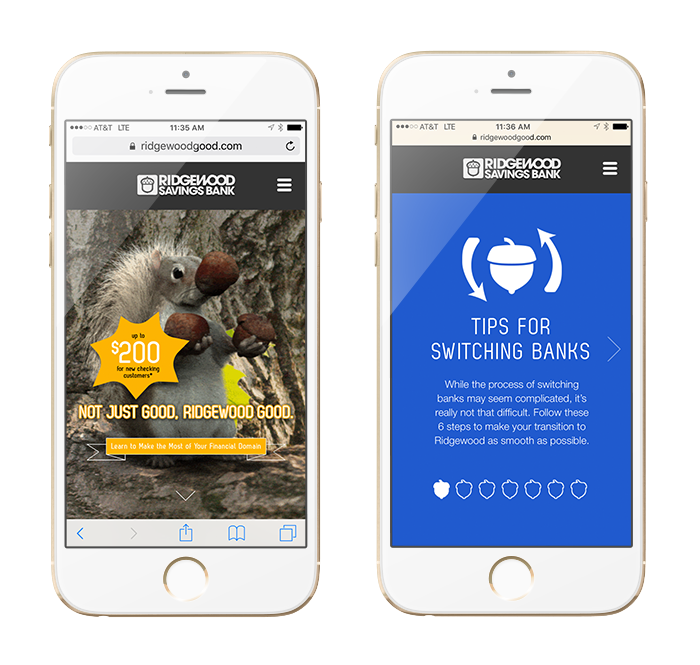 The campaign was deemed a major success by Ridgewood’s marketing director and the head of retail banking. The board approved additional funding and the campaign continues beyond its original scope.